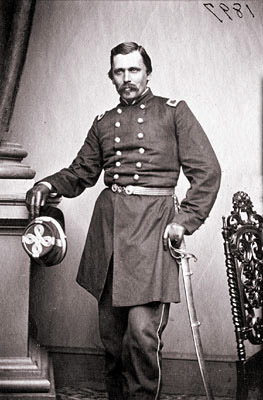 Captain Hubert Anton Casimir Dilger (March 5, 1836 – May 4, 1911) was a German immigrant who was known as one of the best artillerymen in the Army of the Potomac. 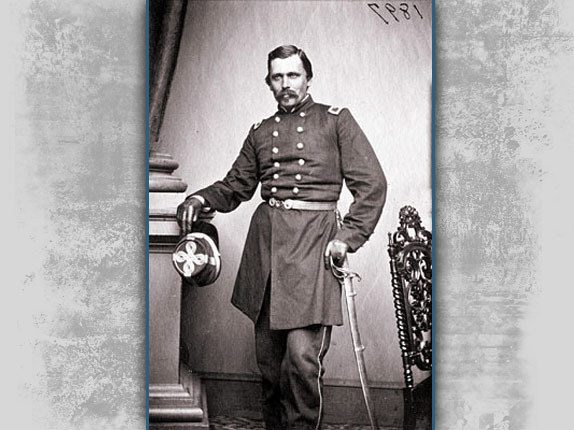 He was awarded the Medal of Honor for his actions at Chancellorsville in May, 1863. This view was taken circa the 1860s. In today’s post, Gettysburg Licensed Battlefield Guide Stuart Dempsey describes the arrival of artillery on the Eleventh Corps line and the initial position of the Second Brigade of the Third Division of the Eleventh Corps. This map shows the location of where our Eleventh Corps at Gettysburg videos were produced. Videos #1-#20 were shown on other maps on our previous posts. Video #21 was taken by the marker for the Third Division of the Eleventh Corps. Video #22 was taken in the fields southeast of West Howard Avenue. Video #23 was taken near the monument to the 45th New York Infantry Regiment. Video #24 was taken southwest of the monument to the 45th New York Infantry Regiment. Videos #25-#26 were taken in the replanted Heagy Orchard near the Mummasburg Road. Videos #27-#28 were taken at the McClean Farm. Videos #29-#30 were taken near West Howard Avenue. Video #31 was taken near the position of Battery I, 1st Ohio Artillery (Dilger’s Battery). 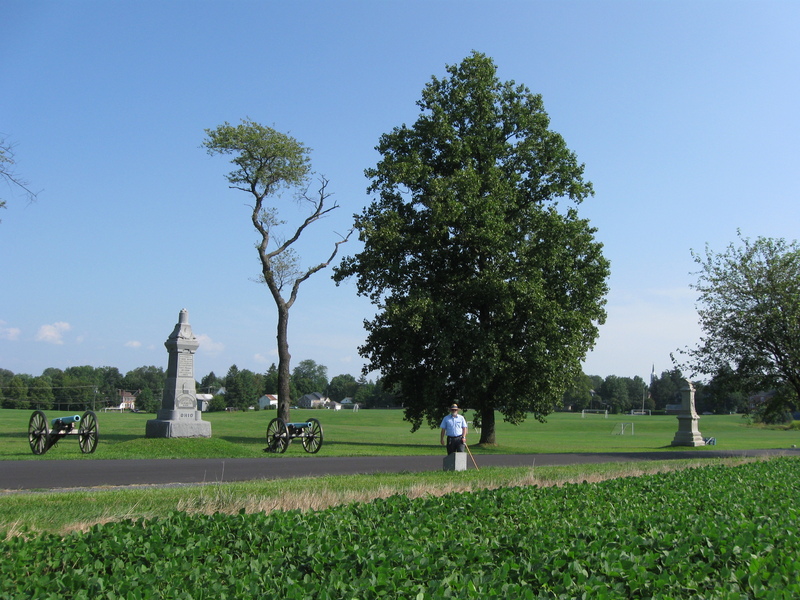 Video #32 was taken on the athletic fields of Gettysburg College south of Dilger’s Battery. 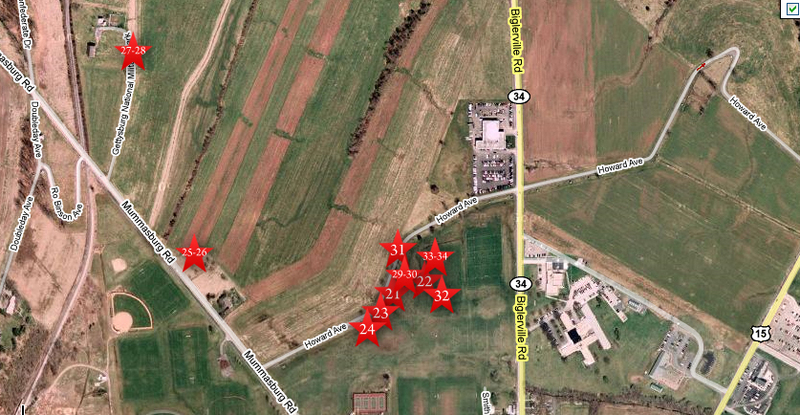 Videos #33 and #34 were taken south of the position of Dilger’s and Wheelers’ batteries. This map was created facing north at approximately 5:30 PM on Wednesday, August 19, 2009. Gettysburg Licensed Battlefield Guide Stuart Dempsey is standing near Battery I, 1st Ohio Light Artillery (Dilger’s Battery). The first position for Dilger was in the right background on the campus of Gettysburg College, near the area of the chapel with the white steeple. This view was taken facing south at approximately 4:00 PM on Sunday, August 16, 2009. In Video #31 (Videos #1-#30 were shown in our previous Eleventh Corps posts) Gettysburg Licensed Battlefield Guide Stuart Dempsey is standing by the monument to Battery I, First Ohio (Dilger’s Battery) on West Howard Avenue. He provides some biographical information on Dilger. This view was taken facing southeast to south to northwest at approximately 4:00 PM on Sunday, August 16, 2009. Licensed Battlefield Guide Stuart Dempsey is standing behind the monument and artillery pieces marking the location of Dilger’s Ohio Battery near West Howard Avenue. This view was taken facing northeast at approximately 4:00 PM on Sunday, August 16, 2009. 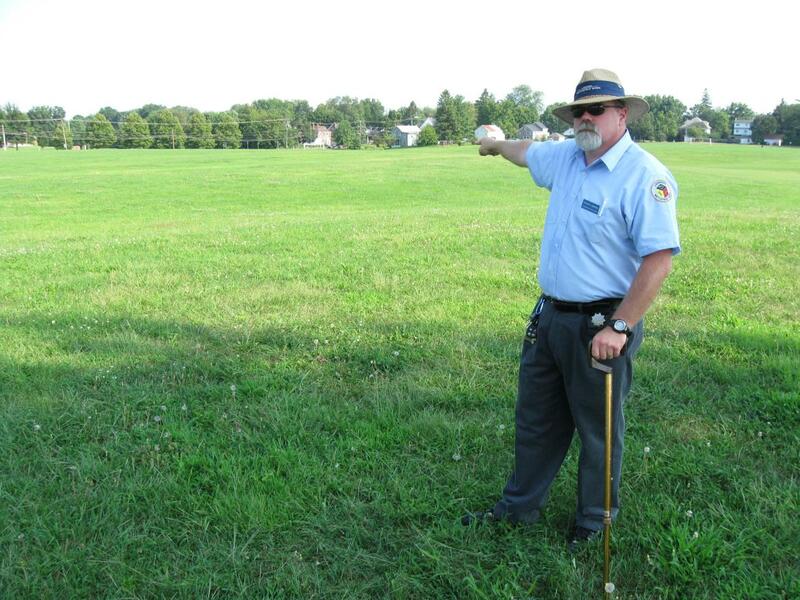 In Video #32 Licensed Battlefield Guide Stuart Dempsey is standing in the athletic fields of Gettysburg College, southeast of West Howard Avenue. He describes Dilger’s arrival on the field. This view was taken facing southeast to south to northeast at approximately 4:00 PM on Sunday, August 16, 2009. 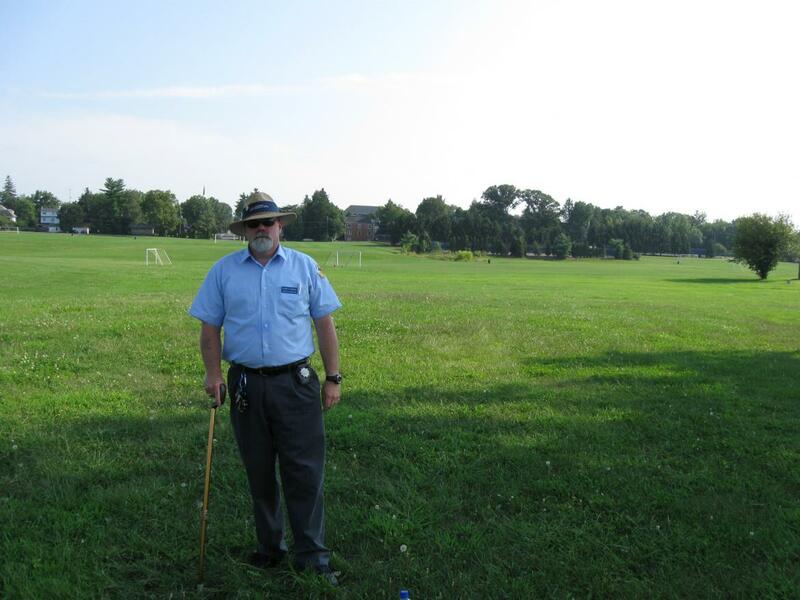 Stuart Dempsey is standing on the athletic fields of Gettysburg College southeast of West Howard Avenue. The blue barrel in the field behind Stuart marks the approximate position of a stream that Dilger’s battery had to cross on July 1, 1863. This view was taken facing southeast at approximately 4:00 PM on Sunday, August 16, 2009. 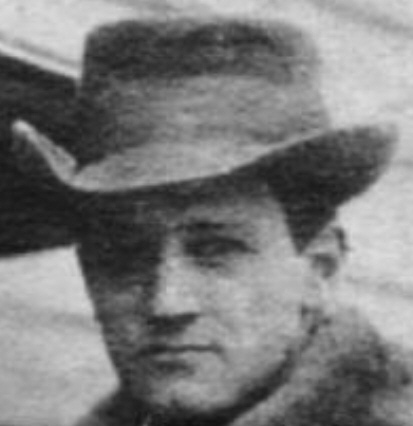 Hubert Dilger’s son, Anton Casimir Dilger (February 13, 1884–October 17, 1918), waged biological warfare for Germany against a still-neutral United States during World War I. He infected horses with anthrax and glanders. Germany stopped their biological warfare program against the United States in 1916. 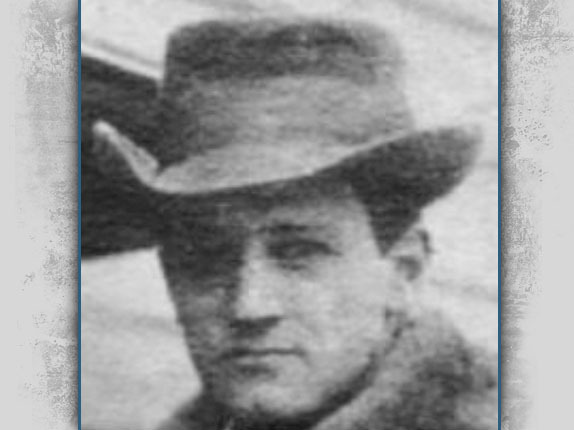 Anton Dilger eventually traveled to Madrid, Spain, where, ironically, he became a victim of the Spanish flu pandemic. This view was taken circa 1915. 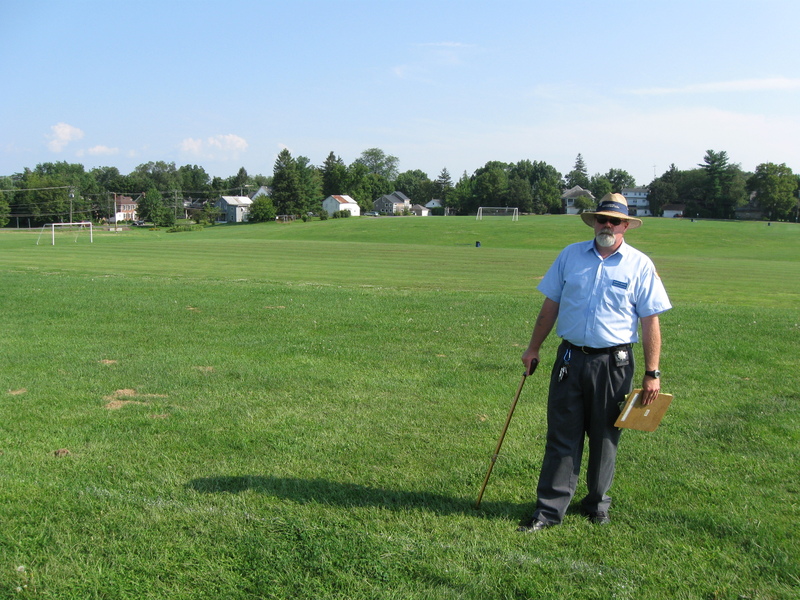 Stuart Dempsey is standing on the athletic fields of Gettysburg College southeast of West Howard Avenue. There has been some debate over the position of the Second Brigade of the Third Division of the Eleventh Corps when they first arrived on the field on July 1, 1863. Were they in the area of the Gettysburg College Tennis Courts (shown in the right background)…? This view was taken facing south at approximately 4:00 PM on Sunday, August 16, 2009. …or were they on the other (east) side of the Carlisle Road, which is near the utility lines in the background. This view was taken facing southeast at approximately 4:00 PM on Sunday, August 16, 2009. In Video #33 Stuart Dempsey is standing in the athletic fields of Gettysburg College, southeast of West Howard Avenue. Now that George von Amsberg’s First Brigade is on the field, Wladimir Kryzanowski’s Second Brigade arrives on these fields north of Gettysburg. This view was taken facing southeast at approximately 4:00 PM on Sunday, August 16, 2009. 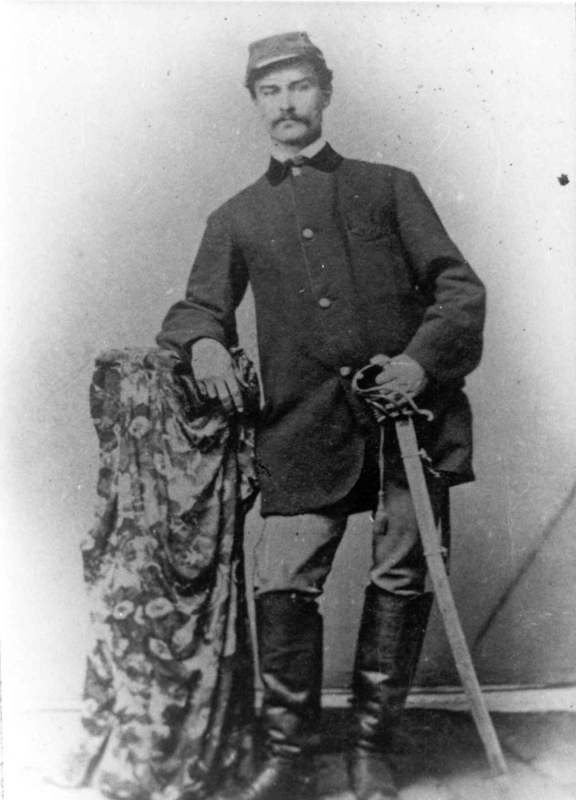 Wladimir Krzyzanowski (July 8, 1824-January 31, 1887) commanded the Second Brigade, Third Division, Eleventh Corps. He was born in Poland, and was a first cousin of the composer Frederick Chopin. This view was taken circa the 1860s. 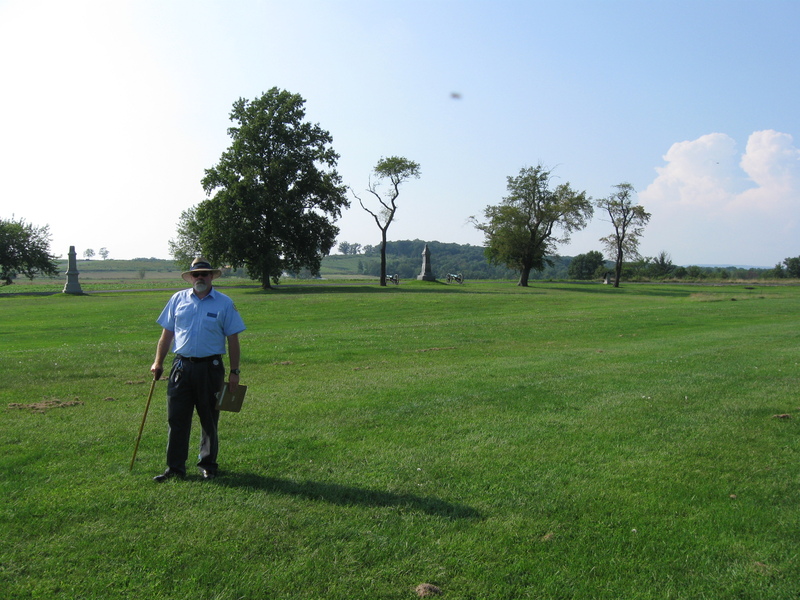 In Video #34 Stuart Dempsey is standing in the athletic fields of Gettysburg College, southeast of West Howard Avenue. He gives us some biographical information on Wladimir Krzyzanowski, including the proper pronunciation of his name. This view was taken facing southeast at approximately 4:00 PM on Sunday, August 16, 2009.